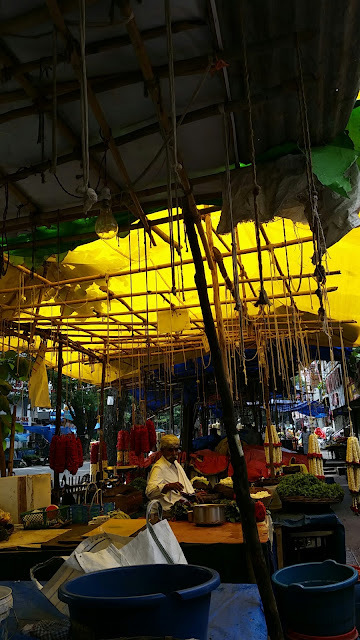 Today’s journey in Bangalore delved into the culture and history of the city. 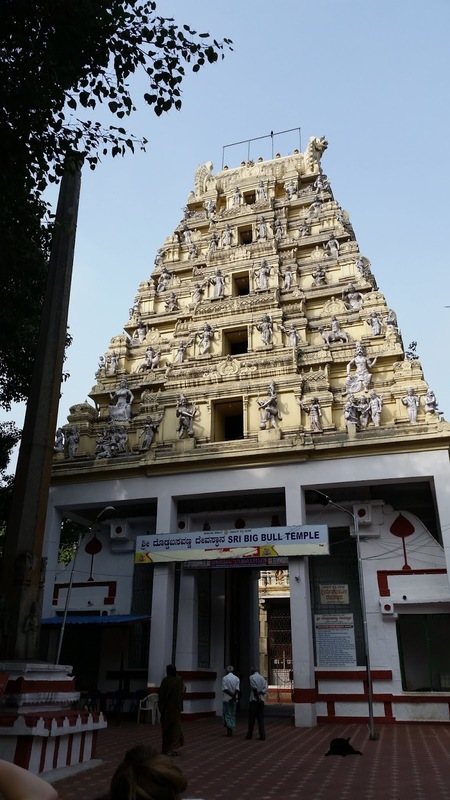 Early in the morning, our group departed and drove to the Nandi temple. 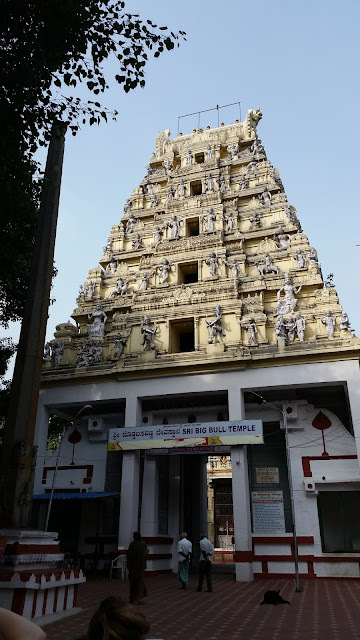 Though temple is dedicated to the Hindu god Shiva, its defining feature is a giant carving of a bull. According to local lore, this bull existed in its animal form and ruined all the crops in the region until Shiva converted it into a statue. The temple exists on the exterior of a local park. The landscape was incredible, and within the park was a monument dedicated to D.V. Gunappa, a famous Kannada writer and philosopher. Following our walk through the park, we stopped at a nearby local market place which was strewn with fruit, vegetable, and flower stands. The colors, arrangement, and aroma of the streets combined to form a breathtaking display. 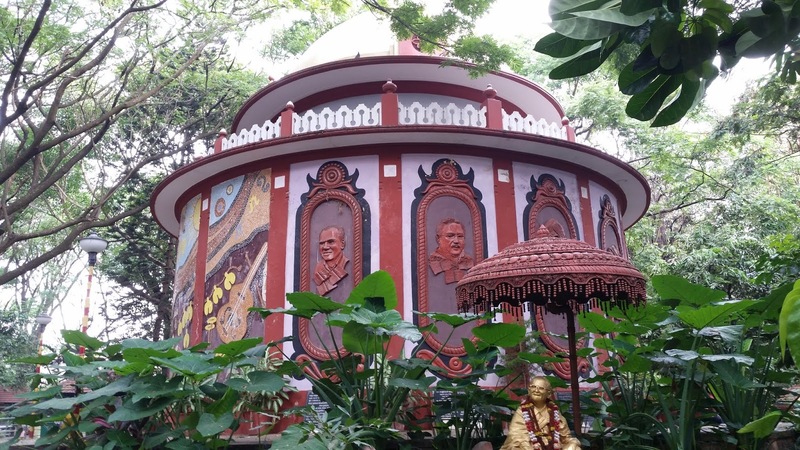 To complete the tour, our group visited the Sir Krishna Rao heritage house. 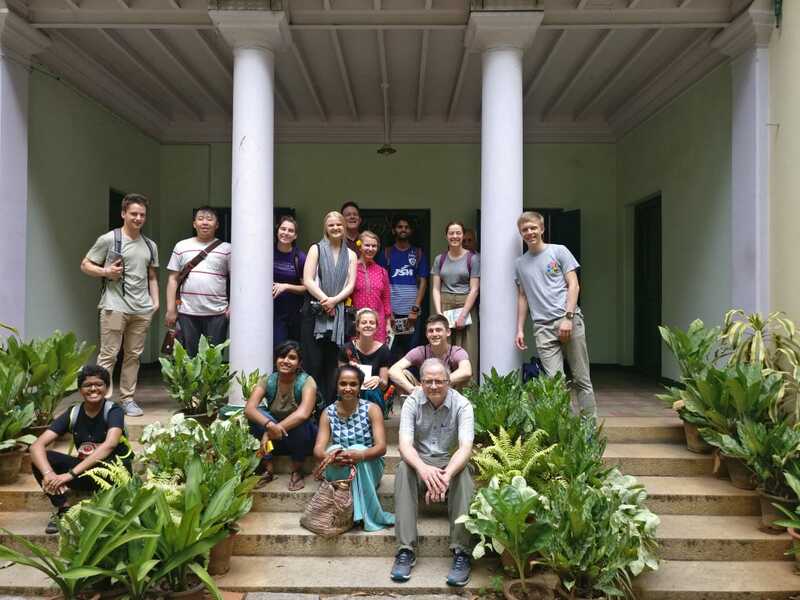 We were indulged with a description of a past era as we were told how the old houses in Bangalore operated. Current housing options could benefit from some of the features this house contained which reduced its environmental impact, such as environmentally friendly building materials, architecture which negates the need for air conditioning, and an efficient waste management system. For the second half of the day, our group reflected on the previous day’s activities and transitioned to discuss the design process. We participated in an introduction to design process activity in which we had to create the optimal wallet for our partner. It emphasized empathy, communication, and multiple trials to push our designs to be as optimal as possible. Utilizing these methods, we transitioned to considering how to design the projects we came here to work on. The two men responsible for Caddisfly, a water analysis service critical to the “Wellness Project,” came in and spoke to us about their business and how their product worked. Afterwards we were left to further discuss our group projects and prepare for our trip to Navadarshanam in the day to come.